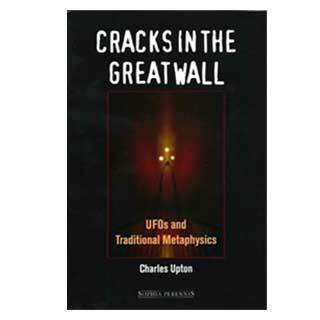 Charles Upton warns us in “Cracks in the Great Wall” that UFOs are not the nuts-and- bolts craft and explains that the “Aliens” occupying the flying saucers are malevolent “Jinns” originating from the spiritual world. These spiritual beings do not have good intentions. Charles Upton is a follower of the teachings of Rene Guenon, who claims that the End of Tidings will be preceded by the erosion of the barrier between the material world and the spiritual world, letting the Jinns invading our world with destructive consequences. The author’s work follows Jacques Vallee’s findings that the UFO phenomena is resembling the myths of fairies and elves and that these entities are following their own agenda.